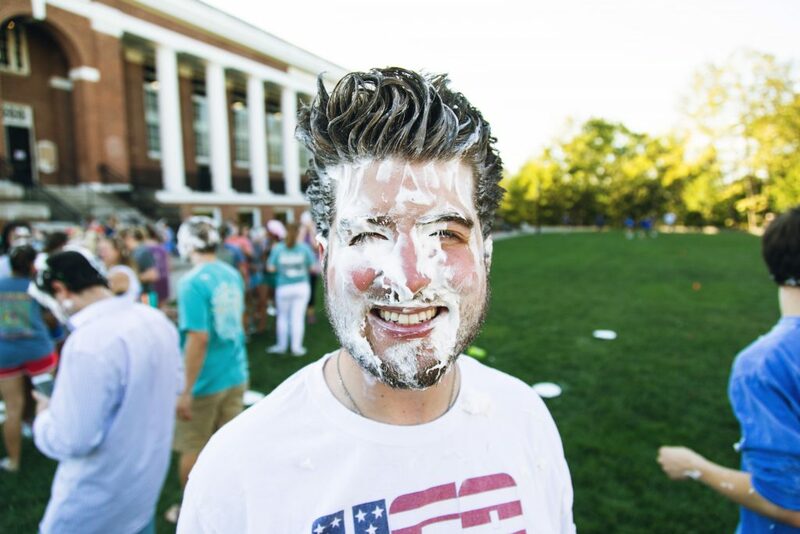 Brother Dalton Greenwood ’17 pied in the face and hair. 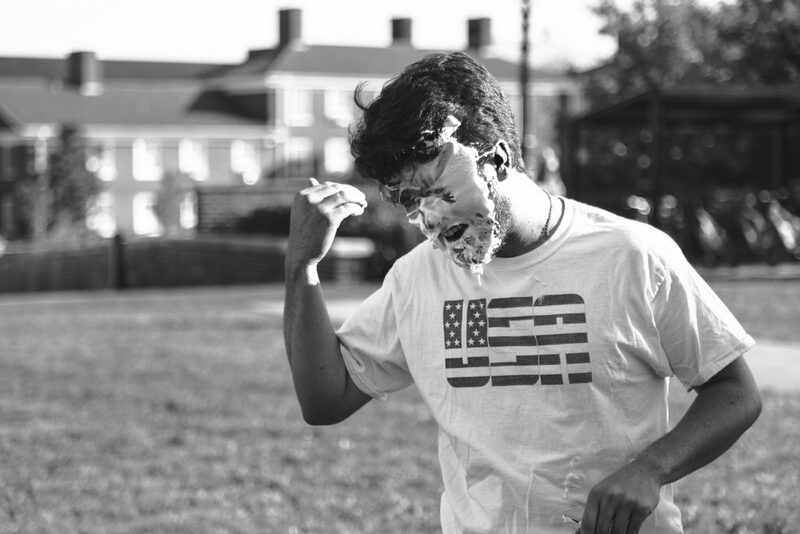 Commander Jonah Mackay ’17, pied in the face. 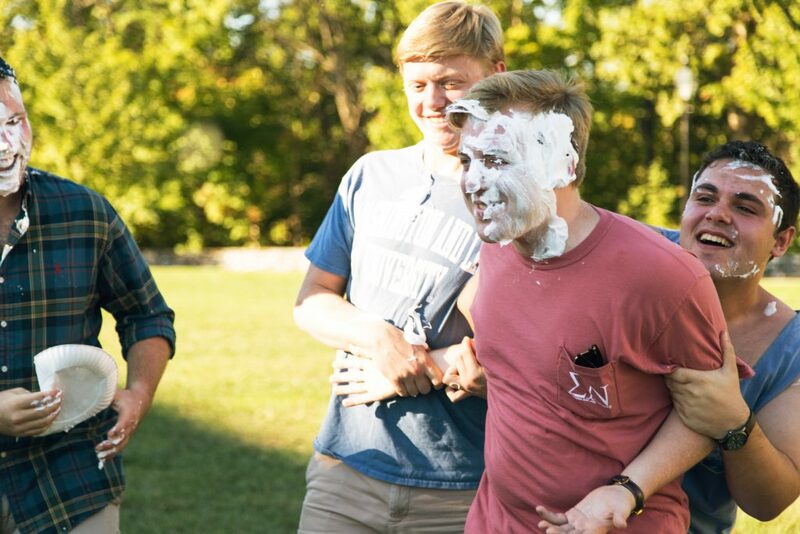 Commander Jonah Mackay ’17, pied in the face yet again. 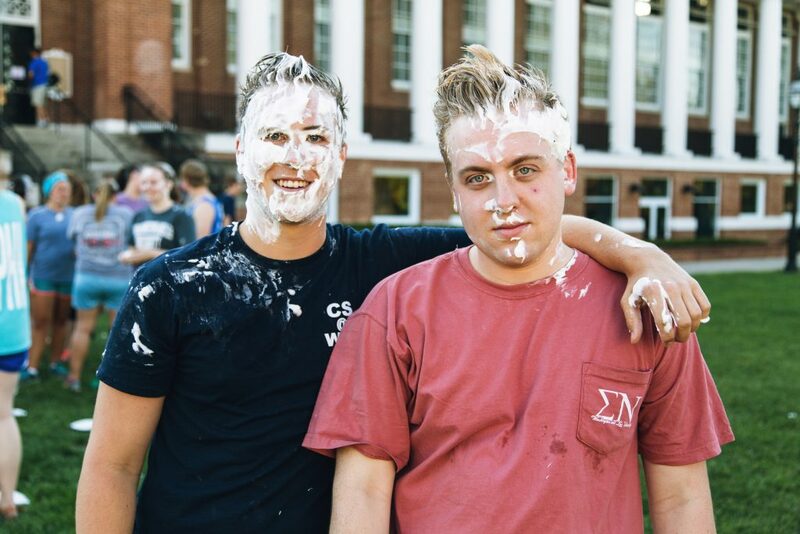 Brother Jake Rosen ’18 and Commander Jonah Mackay ’17; one looking amused, the other… not. 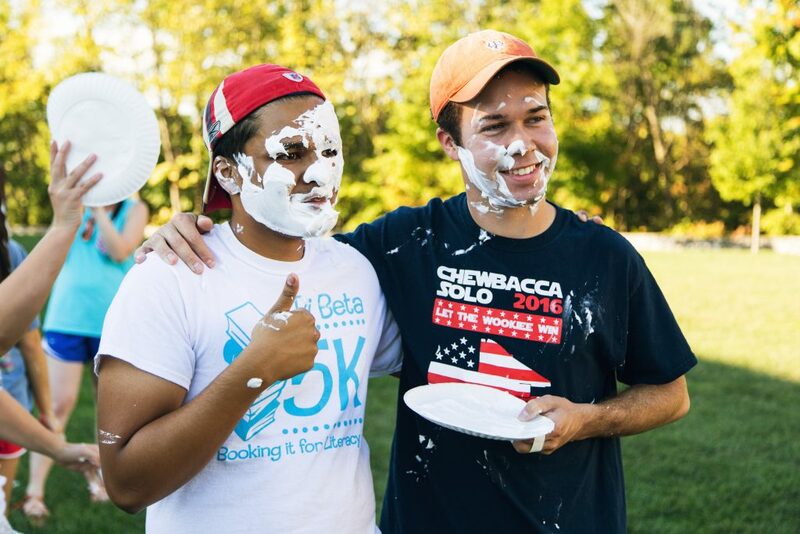 Brother Adit Ahmed ’19 and friend, reciprocally pied. 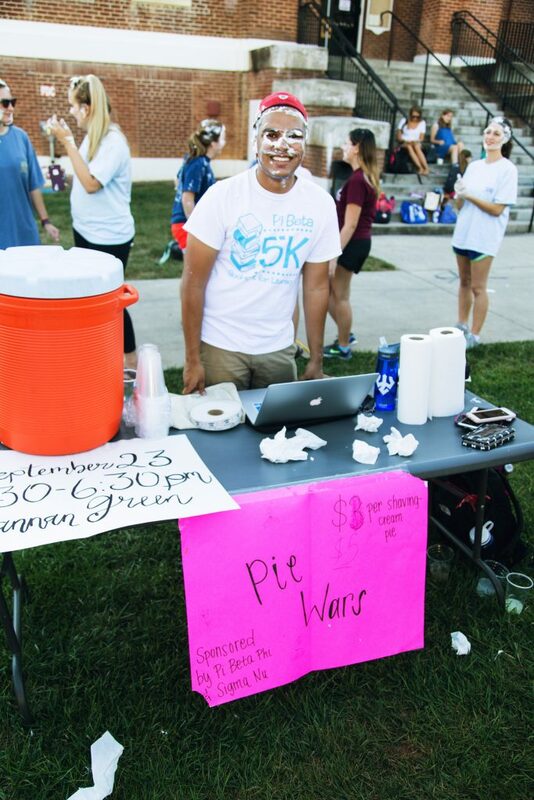 Brother Adit Ahmed ’19, manning the pie-booth. 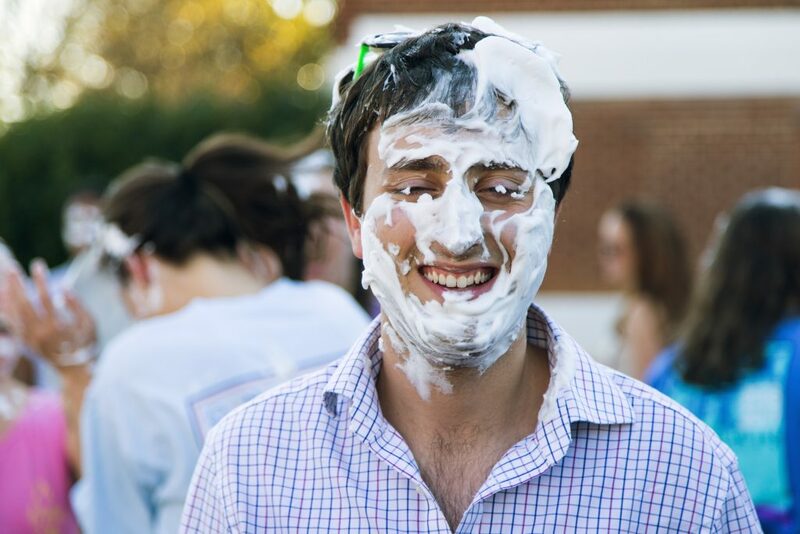 Brother Dalton Greenwood ’17, pied in the face after riding in on a blue bike. 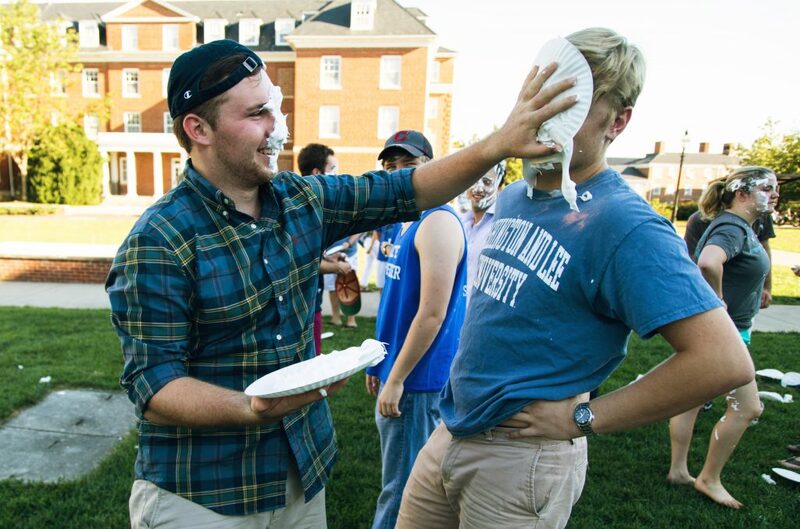 Brother Jack Wright ’19, pie-ing Brother Hunter Ward ’18 square in the face, with another one ready. 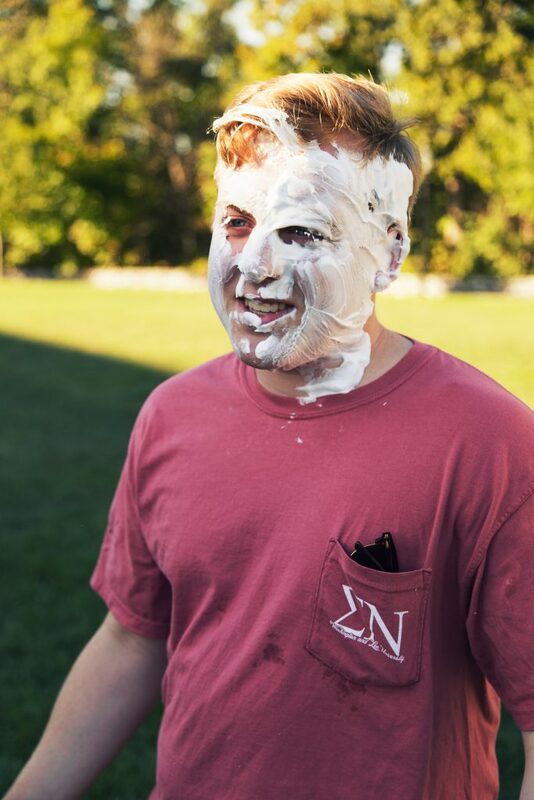 Even Recruitment Chairman Bryce Zaremby ’18 is not immune from being pied. 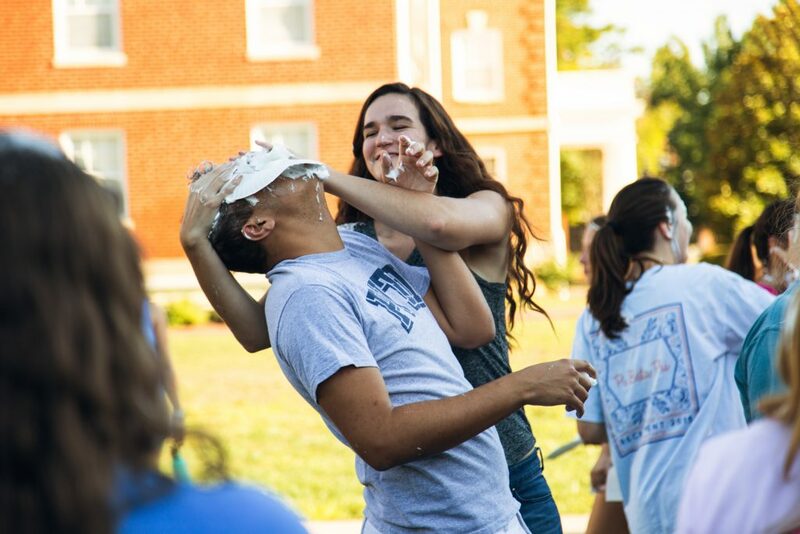 Brother Daniel Monteagudo ’19, pied by his own girlfriend.